A beautiful white Akoya pearl ring, crafted with a polished band of 18 carat white gold, to be loved for its elegance and lustrous pearl. 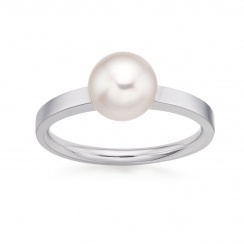 This ring can be used as a contemporary pearl engagement ring. 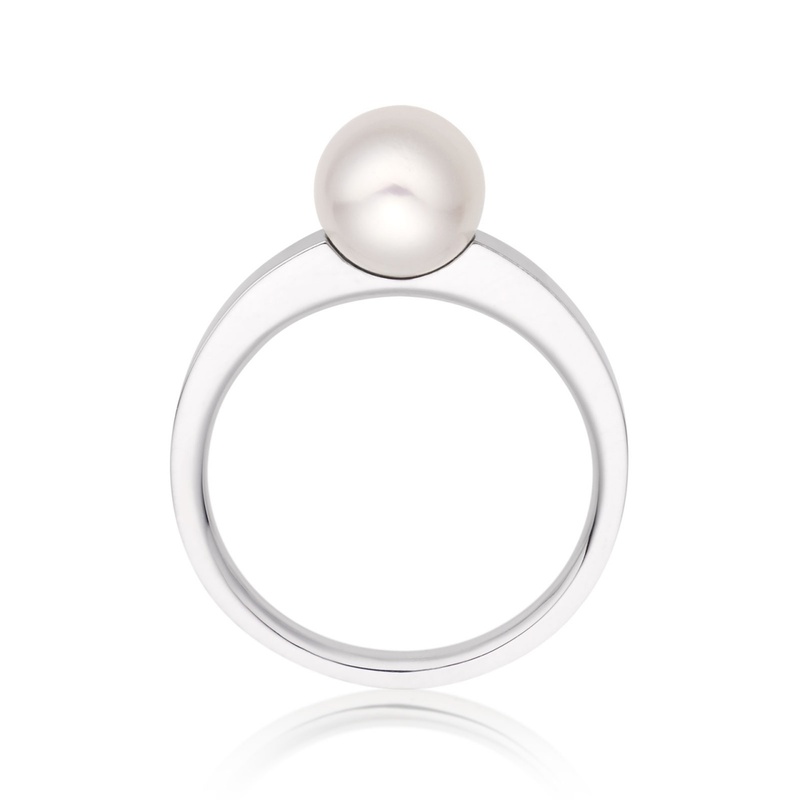 The ring design has a contemporary flat court profile, rounded for comfort on the inside with flatter edges on the outside. 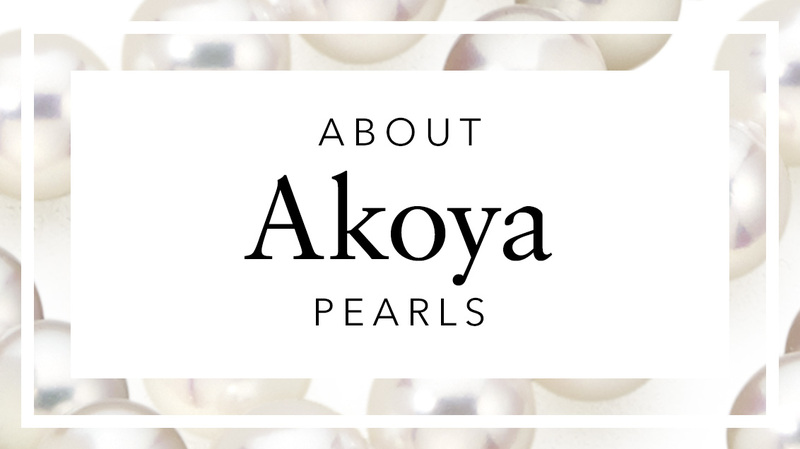 Cultured in oysters, the saltwater Akoya pearl has a strong lustre and subtle pink overtone. 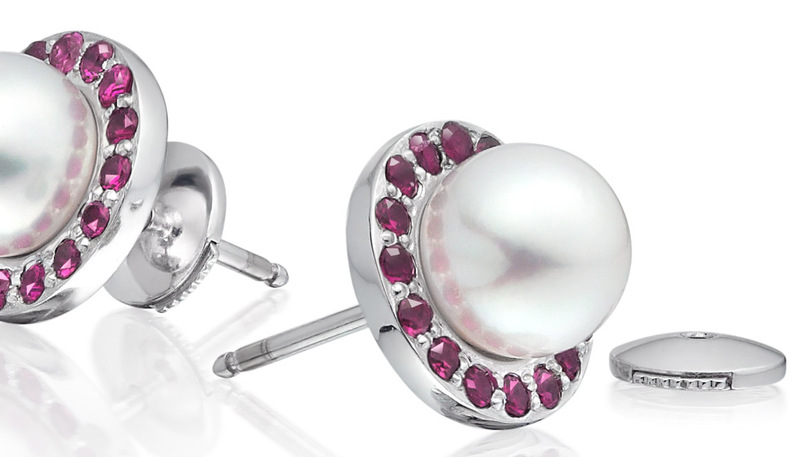 Depending on the size of the ring selected, the pearl is approximately 7-8mm in diameter. 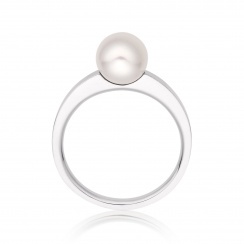 This ring is manufactured in the UK and can be ordered in a number of different standard ring sizes. If you would like further information, please Contact Us or download and print our Ring Sizer to check the size of an existing ring. 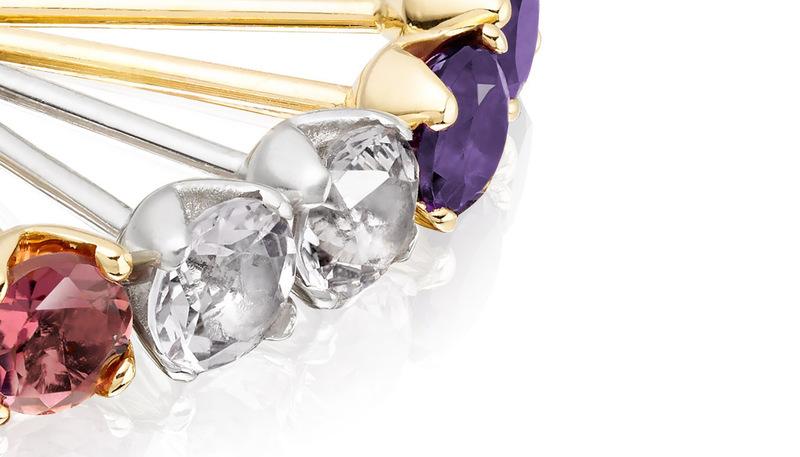 This ring is also available in 18 carat yellow gold. Product : The service is perfect! I have dealt before with this company. 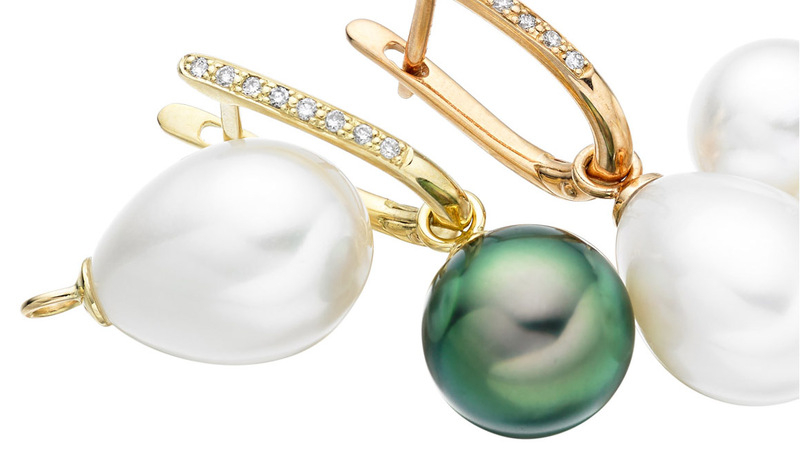 Reply Thank you for your kind feedback and for choosing one of our Akoya pearl rings, that's very lovely to hear. Please do let us know if you have any further questions about ring sizing or if we can help in any way further. Service rating : Brilliant, although they didn't have my wife's ring size in stock it was made & delivered in a week . 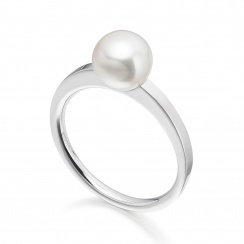 Product : I found many pearl rings look dated but this was exactly what I was looking for ,the packaging & presentation were great , many thanks . Reply Thank you for sharing your recent experience at Winterson. We were very sorry to hear that your engagement ring had been damaged. Occasionally this can happen, but it is usually very easy for us to repair and we were delighted to be able to help. Product : Fabulous, perfect, simplicity ! Reply Thank you for leaving your feedback on your 18 carat White Gold Akoya Pearl Ring, which you purchased recently from Winterson. 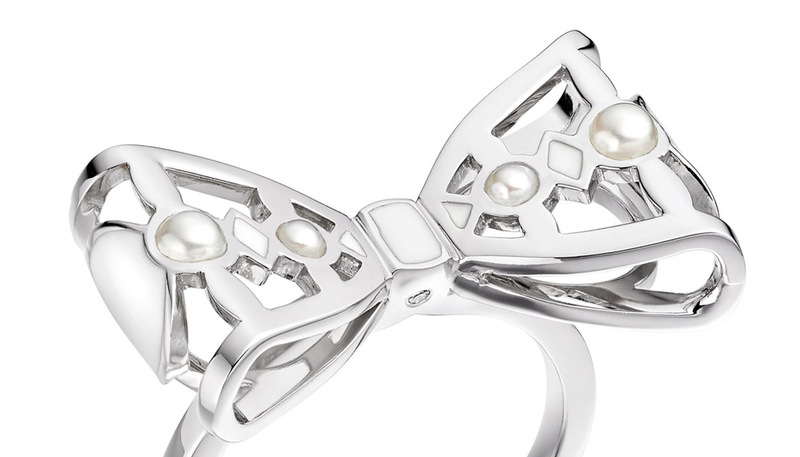 We are really delighted with your comments and hope you enjoy wearing the ring this summer. Please do let us know if you have any questions about the jewellery or if we can be of help further. Service rating : I bought a ring to propose with and it turned out to be 3 sizes too big. Andrew at wintersons was excellent the ring has been resizes and is perfect. Very fast delivery and and very happy customer and his new fiancé. Thank you. Product : It's beautiful. The perfect engagement ring, just what we wanted.